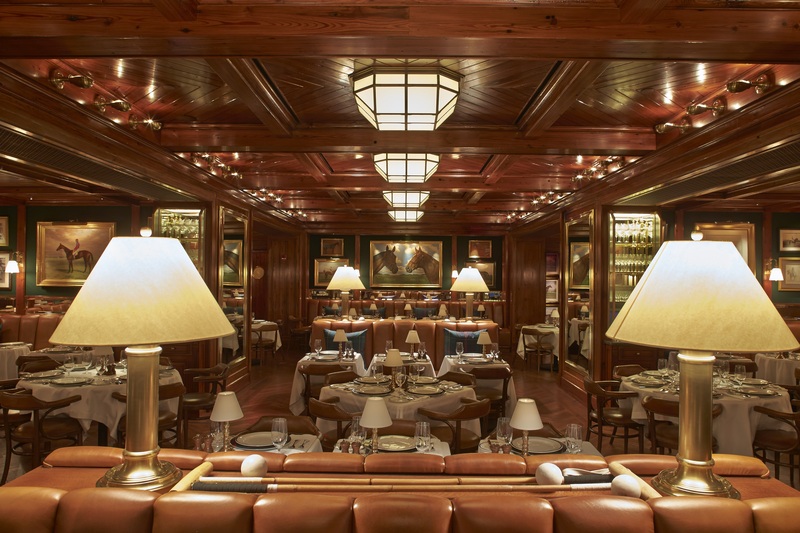 The Polo Bar is fashion designer and lifestyle empire king Ralph Lauren’s third restaurant following RL in Chicago and Ralph’s in Paris. It’s open for dinner only (for the time being) and only by reservation, no walk ins, even for the bar. Inside is all wood and leather with an open fireplace in the cosy ground floor bar and glowing lighting throughout. 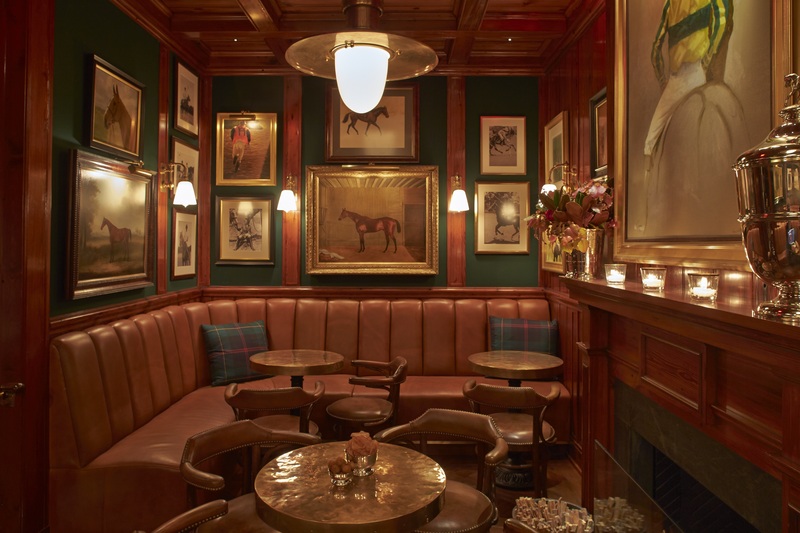 Equestrian paintings and polo paraphernalia are crammed onto every available space on the hunter green painted walls. 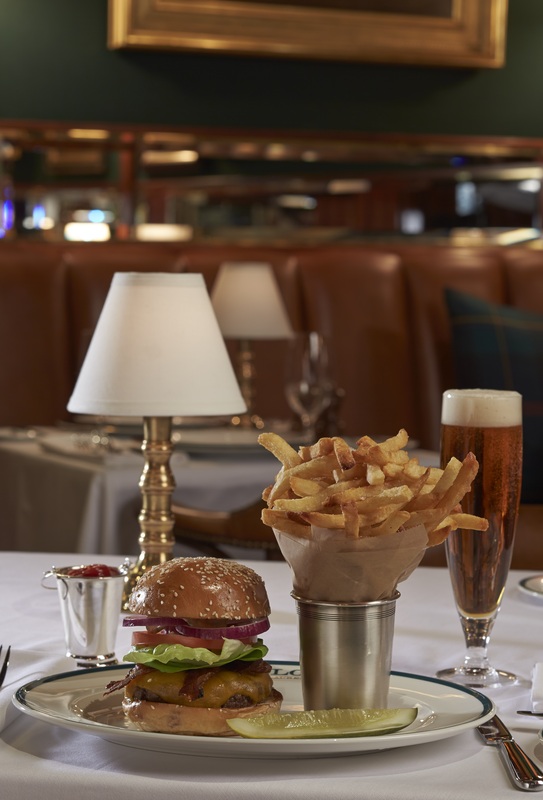 Based over two floors with the restaurant in the basement, it feels like a grand home – much as the Ralph Lauren Flagship stores around the world (including the recently opened one in Hong Kong, at Lee Gardens Two in Causeway Bay) do. New York native Lauren says the restaurant is inspired by his love of the city’s classic eateries (apparently his first date with his wife, Ricky, was at NY steakhouse, Keens) and gathering around the table with family and friends. Undoubtedly it is also an extension of the Ralph Lauren brand. Not just physically – the restaurant sits within the vast building which houses the new and first ever dedicated Ralph Lauren Polo store – or design wise. 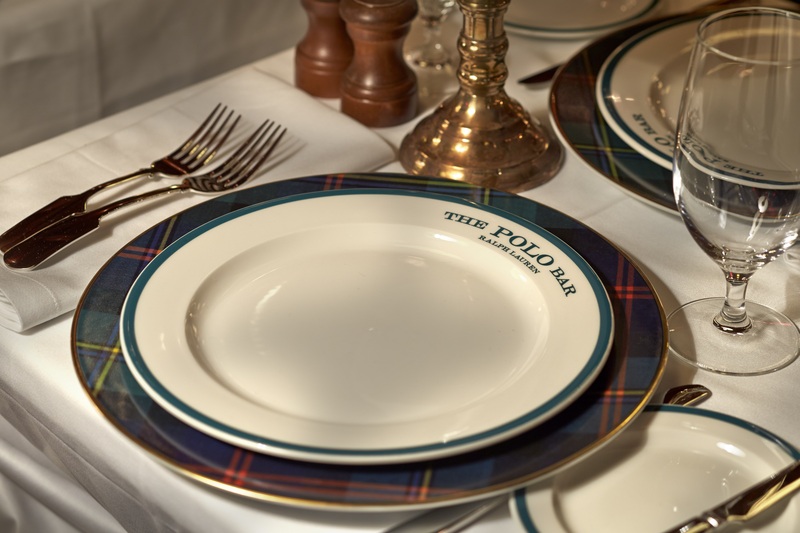 Some of the tableware is available to purchase, the coffee is brewed especially for Ralph Lauren (there’s a coffee bar in the new Polo store next door). Naturally, the wait staff is uniformed in Ralph Lauren (ladies, if you bought the tartan silk dress from autumn/winter 14/15 Polo collection don’t wear it for dinner here). “I don’t want to be the hot restaurant,” Lauren has said. “I want to be the restaurant you want to go to twice a week.” And indeed the man himself dines there regularly. The evening I visited he had a table with a bird’s eye view of the restaurant. I witnessed him, and Ricky, take quite a while to leave as so many diners reached out to shake his hand and speak with him as if he was a movie star. There are no deconstructions, tasting menus or foams here. Instead there are clubby East Coast classics. Preppie sounding popovers (like British Yorkshire puddings) are served in lieu of bread. There’s a substantial meat selection with several steaks and a signature burger. When possible, the beef is sourced from cattle on Lauren’s own ranch in Colorado. He’s been quoted as saying the reason he opened Ralph’s restaurant in Paris was that he couldn’t find a decent hamburger there. This time around he reputedly lamented the lack of a good reuben sandwich in New York (there’s a Ralph’s Corned Beef Sandwich on the menu at The Polo Bar). There’s also an impressive choice of salads, fish and seafood. Vegetarians are well catered for too with a dedicated menu. Across all menus there’s a smattering of enticing American produce: salted Vermont butter, Oregon blue cheese, Berkshire bacon. For pudding the ice cream, made with the aforementioned Ralph Lauren coffee, is gently highlighted by our waiter – personable and informative and looking like he stepped out of the pages of a Ralph Lauren brochure. I can’t decide between the two chocolate desserts on offer so the waiter suggests the Old Fashioned Five Layer Chocolate Cake. I can attest to it being an absolute winner. Despite the exclusive booking policy, the atmosphere is convivial rather than cliquey. And the diners diverse in age: on the table on one side of me are two thirtysomething men who resemble the Winklevii with their dates; on the other an older man with his grown up family. It’s not a stretch to think of a Ralph Lauren restaurant opening in Hong Kong. 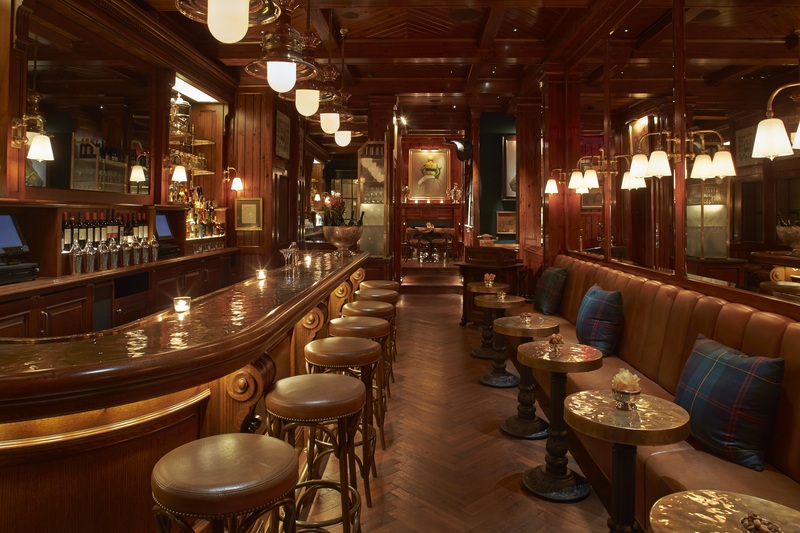 There’s already a discreet bar (for customers only) inside the menswear flagship in the Prince’s building. Regular patrons drop in for an espresso before work or have something stronger while having tailoring fittings. Ralph Lauren Ltd decline to comment on whether there are plans to open a full service restaurant here. But perhaps if Mr Lauren misses a particular American comfort food when he’s in town that will change.